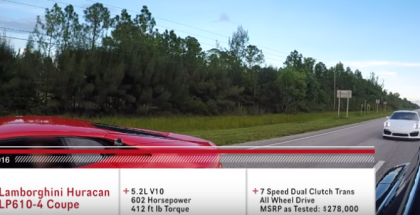 Brand new Chevrolet Camaro ZL1 take on the Tesla Model S P100D with Ludicrous Plus. 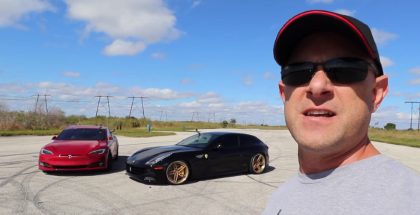 December 5, 2017 | Ed M.
Ferrari FF making 651 horsepower from it’s naturally aspirated 6.5L V12 racing heads up against a Tesla Model S P100D with Ludicrous Plus. 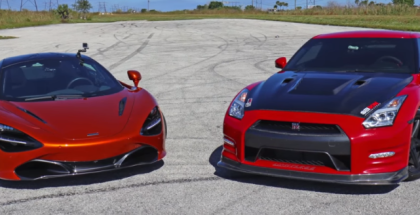 December 1, 2017 | Ed M.
Watch the McLaren 720S take on a Nissan GT-R with bolt on mods running on E85 fuel making 625 horsepower to the wheels. 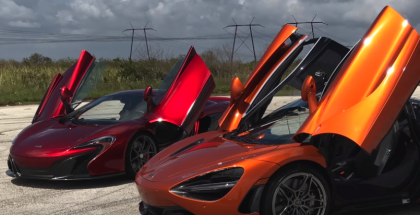 November 22, 2017 | Ed M.
The McLaren 720S goes up against a couple of new challengers putting out around 900 Horsepower each. 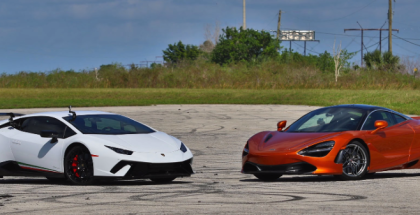 November 10, 2017 | Ed M.
Watch the latest and greatest supercars from Lamborghini and McLaren battle it out with the 720S and Performante going head to head for some all out drag and roll racing. 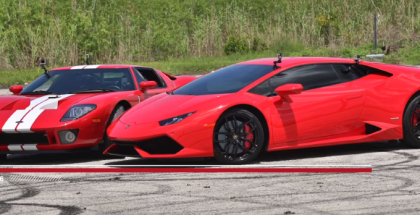 November 1, 2017 | Ed M.
Check out these drag and roll races between a Lamborghini Huracan Performante and a regular Huracan LP610-4. 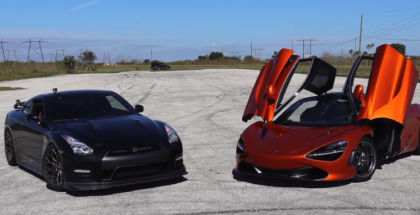 September 25, 2017 | Ed M.
McLaren 720S take on a McLaren 650S making 829 horsepower from an upgraded set of turbos, high flow cats, exhaust and tune by Evolution Motorsports and Wheels Boutique. 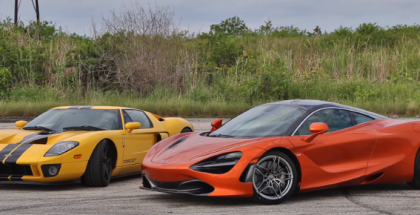 Watch the 2018 McLaren 720S take on a 2006 Ford GT Twin Turbo Heffner GT1000 in a V8 Twin Turbo Rev Battle and some all out roll racing. 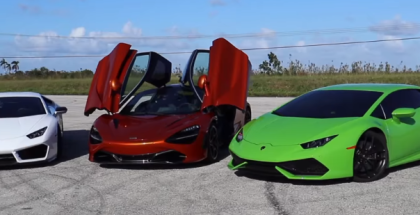 Street Race featuring Mclaren 720s vs Lamborghini Huracan LP610-4. 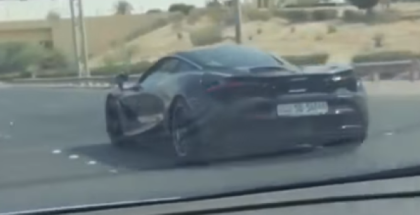 Fast Supra Messing With The Wrong Lamborghini Huracan. 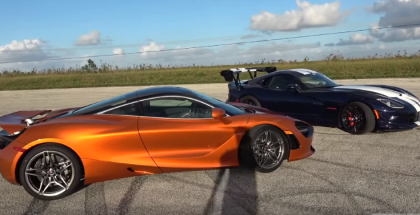 McLaren 720S take on a Lamborghini Huracan LP610-4 for some all out drag and roll racing to the 1/2 mile. 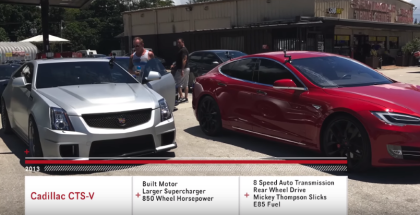 August 14, 2017 | Ed M.
Watch one of the most advanced and quickest cars on the road, the Tesla Model S P100D Ludicrous take on a 1,000HP Cadillac CTS-V and a 700HP Ford Mustang. 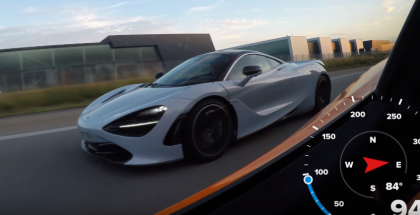 July 25, 2017 | Ed M.
McLaren 720S has 720PS (710hp) and 770Nm (568lb-ft) of torque from the reworked twin-turbo V8 that has been enlarged to 4.0lt. July 24, 2017 | Ed M.
Street race featuring 720HP Ford GT takes a Lamborghini Huracan LP610-4. 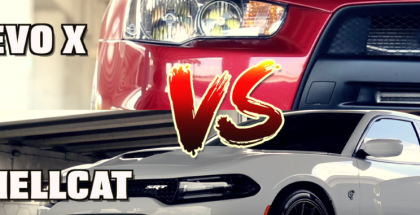 July 10, 2017 | Ed M.
Street Race Featuring Stock Dodge Hellcat vs 512whp Mitsubishi Evo X. 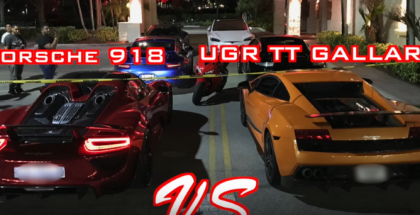 Street Racing Featuring Porsche 918 Spyder, Turbo K20 NSX, Turbo Busa, 1JZ BMW, ACR Viper, Supra. 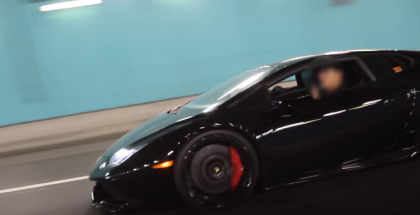 October 3, 2016 | Ed M.
2016 Lamborghini Huracan LP610-4 goes up against a 1500 hp Underground Racing Lamborghini Gallardo. Luckily for the Huracan, the UGR Gallardo was on pump gas (93 octane), the lowest boost setting and is only making 1000 hp. 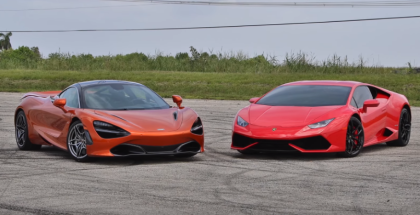 Street Race featuring Tesla Model S P100D takes on a Lamborghini Huracan LP610-4.